It’s become ‘a thing’ to tell people that they need to learn how to code if they’re going to survive in the modern work world. That is completely untrue. You do not need to learn how to code unless you actually get paid to be a programmer, developer, or computer scientist. However, as more and more professions evolve to include digital tools in the workplace, even knowing basic HTML can go a long way to making you more effective at your job. And if you’re a writer who publishes their work exclusively on the web, knowing how to code and style it so it reads the way you want it to be read might be a pretty useful skill. That’s why, as of last week, it is no longer an option for Random Nerds writers to know basic HTML. It’s a requirement. that’s why we splurged for things like handwriting in the margins! Random Nerds was designed and built to be a very pleasing reading experience – we dig into each post to make sure the formatting is exact and the media is displayed properly – but if the person in charge of a major portion of that reading experience (i.e. the writer) doesn’t understand how to best cater their work towards the next step in the process, the final product (i.e. your reading experience) is going to suffer. You might think I’m making an issue out of nothing because you yourself are a ‘power user’ and know that any modern CMS # comes equipped with a WYSIWYG editor. # However, if you’ve spent any significant amount of time in a CMS like WordPress toggling between the visual editor (WYSIWYG) and text editor (HTML), then you know just how poorly a WYSIWYG editor handles the subtle details which are hugely important to making a piece shine. Before deciding to finally axe the visual editor for good, I was constantly being relied upon by our writers to polish their code once they had put everything in to WordPress. That meant a one-person job had become a two-person job, and there’s no place for that kind of inefficiency in any company, let alone one in the bootstrapped early stages. Plus I think it’s good for our writers too. As a writer, or as any professional that seeks to make something and then communicate it to an audience, you should be able to effectively communicate to said audience within the medium. For people publishing their work on the web, this means knowing basic HTML and maybe just a bit of CSS. 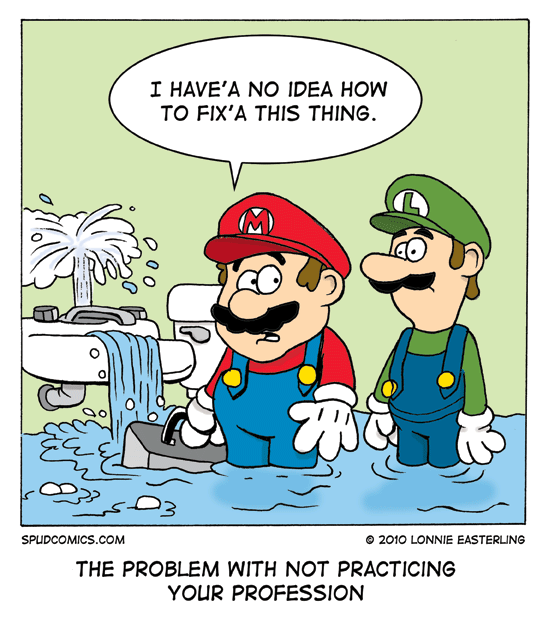 # I’m not expecting all writers to suddenly become developers, just as I wouldn’t expect all homeowners to become plumbers, but if you can’t fix a clogged toilet yourself you might not have any business owning a home. So where do you start? Well, lucky for you, there are thousands of websites offering tutorials on HTML. My favorite is W3Schools.com; it’s great when you need to quickly reference something and don’t have the time to master it. If you want something more structured that also tracks your progess, you should give Codecademy a try. They go far beyond just the basics and can give you the tools you need to build a complete website. Ultimately, you may decide to never learn more than just the basics, but with just a few simple lines of code to fall back on, you’ll be able to make your pieces that much more impactful. Or at the very least, communicate your message the exact way you intended. Just take that red pill, clink one of the links above, and enjoy your journey down the rabbit hole, Alice.